Euro expanded its consolidation channel upwards and is going to continue moving inside down trend; current correction may yet continue. 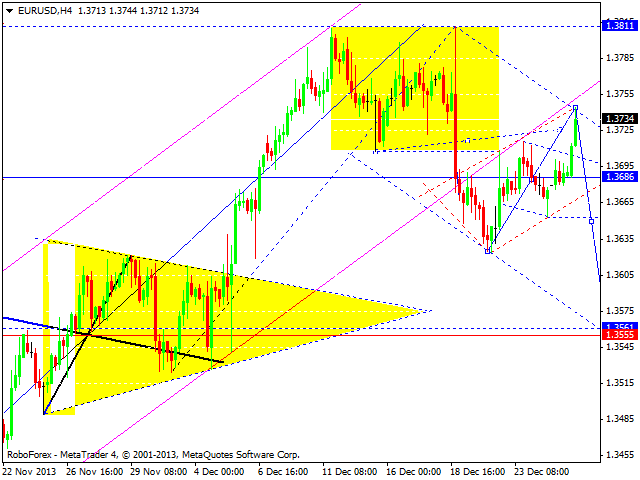 We think, today price may fall down to reach level of 1.3560 and then continue growing up with target at 1.4100. Pound expanded its consolidation channel downwards and is going to continue moving inside up trend; this correction may yet continue. 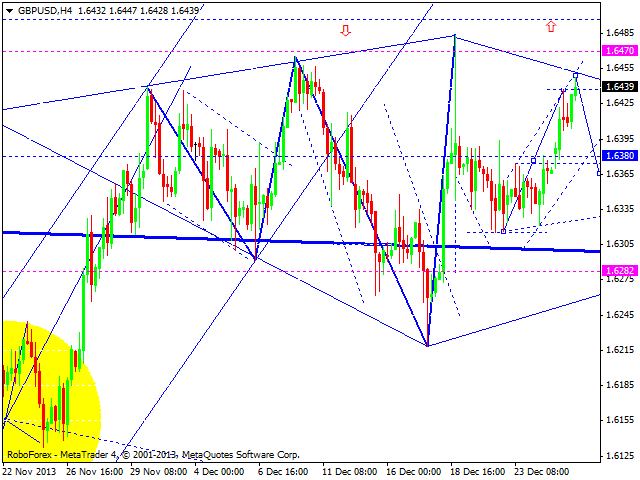 We think, today price may reach level of 1.6300 and then continue moving upwards to reach predicted target at 1.7150. Franc is still moving inside its consolidation channel. We think, today price may reach level of 0.9060 (at least). This growth may be considered as correction towards previous descending movement. 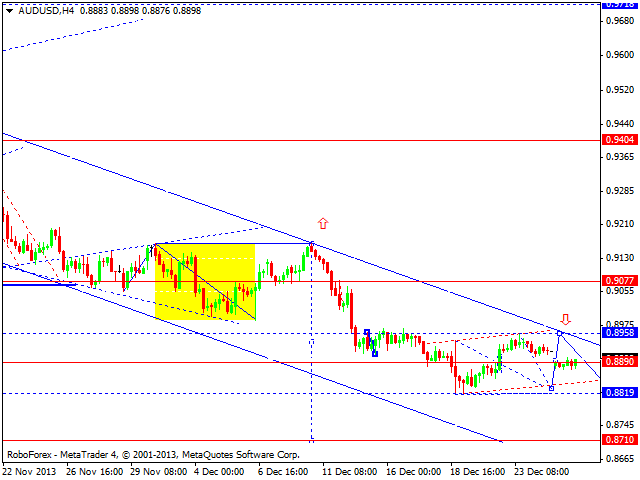 Later, in our opinion, instrument may moving inside down trend with target at 0.8300. Thanks to the gap, Yet expanded its consolidation channel upwards. 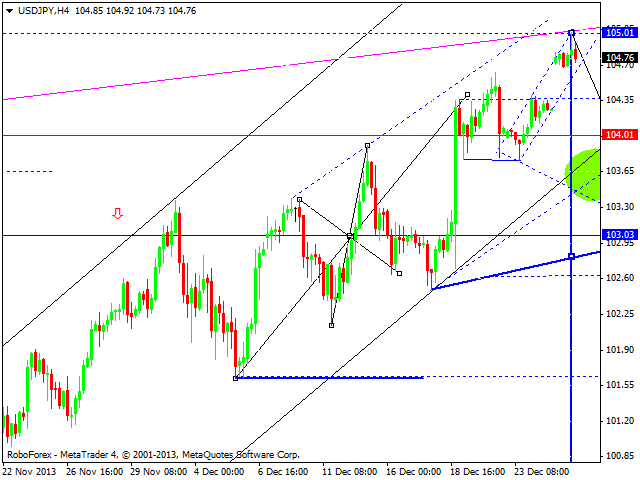 We think, today price may fall down to 104.00, and then continue falling down towards next target at 103.00. Later, in our opinion, instrument may start new correction to reach 104.00. Australian Dollar is still consolidating. 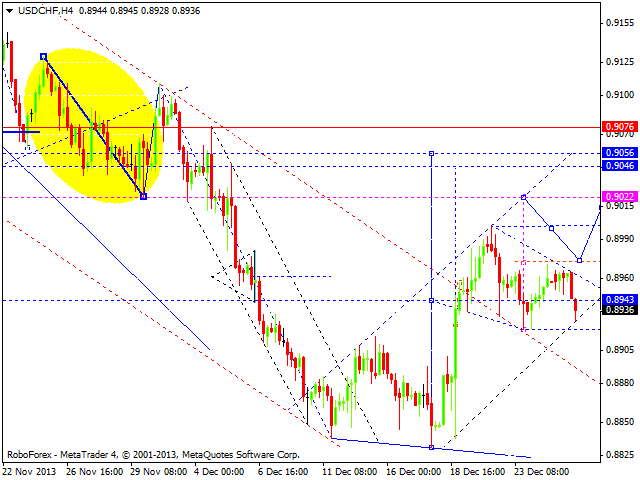 We think, today price may test level of 0.8840 and then form another ascending structure to reach level of 0.8958. Later, in our opinion, instrument may start moving inside down trend. Next target is at 0.8720. 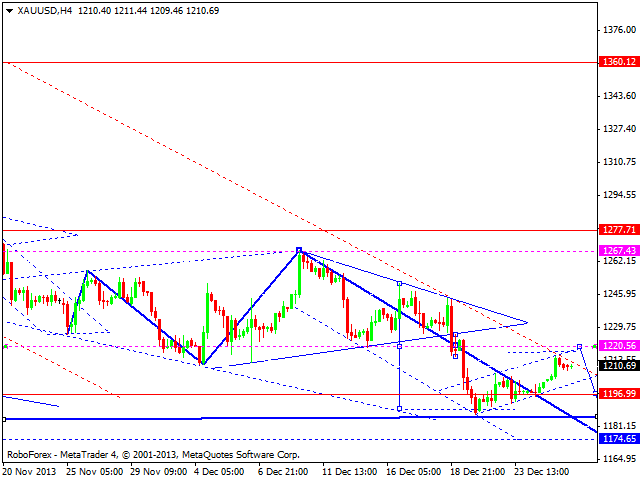 Gold is still moving towards level of 1220; this movement may be considered as the fourth wave. Later, in our opinion, instrument may start the fifth wave inside this final structure with target at 1175 and then form reversal pattern for new ascending movement to return to 1360.